Home / News / Cody missing one year. Cody missing from WR5…Please share! Have requested a thunderclap from Sarah. Hi – thank you for raising awareness of him – I am still following up any leads that I get – can’t understand how no one has seen him – especially on the day he went missing – 2pm on a Thursday in the middle of the city – unbelievable! is he safe and well? Is he being well cared for? – not knowing what has happened to him is torture. 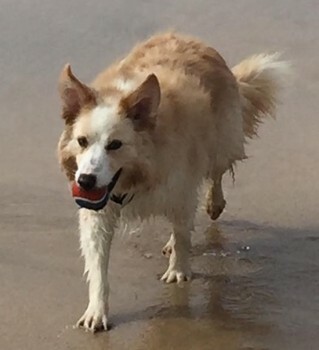 Do You know someone who has acquired a very nervous yellow and white collie dog, in the last 12 months? Please – if anyone has information on his possible whereabouts – please call me – a “no questions asked” reward is offered for any information that leads to his safe return.